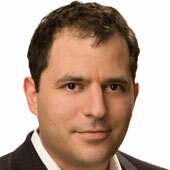 Jason Hirschhorn joined MySpace a little more than a year ago as chief product officer. In February, he was put in charge of the ailing social network, along with Mike Jones. Now he’s out. I wanted to share some personal news with you. After much thought I have decided to leave MySpace. It was a hard decision, but is weighted in my desire to move back to New York City. The past 15 months have been the most exciting in my career. The challenge that we have all worked on together, reinventing MySpace, is a dream project. With the roadmap in a solid place, the Futura designs being executed now, and a new leadership firmly in place, I felt this was a good time for me to transition out. I did not take this decision lightly. But given my faith in my partner Mike Jones and his brilliance, coupled with the amazing teams we have in place, I feel as optimistic as ever about MySpace. I cannot thank Rupert, Jon and Owen enough for giving me the opportunity to work at MySpace. It has been a pleasure working with each and every one of you. I will be in the office until the end of the month and available to Jon and Mike during the transition. You are all family. I will miss you. P.S. My mom is pissed I am leaving LA! Hirschhorn’s departure isn’t a total shock: It’s hard to find an example of any company, anywhere, that has really worked with more than one person in charge. And Hirschhorn always seemed like an uneasy fit at MySpace, though his mood seemed to improve when former boss Owen Van Natta was moved out earlier this year. I’m told that he’s leaving on much more amicable terms than Van Natta and may end up working with Miller on some other News Corp. digital projects. Still, despite Hirschhorn and Miller’s sunny description of MySpace, it is very much a troubled, money-losing asset. Former rival Facebook eclipsed it in audience, dollars and mojo long ago. And an ad deal with Google (GOOG), which generated the bulk of its revenue for years, is expiring very soon. The most charitable description of MySpace would be a “work in progress,” which is the phrase News Corp. COO Chase Carey likes to use, over and over. The good news for Hirschhorn’s former co-worker Jones: If he can show any positive result at all, the glory will be all his.